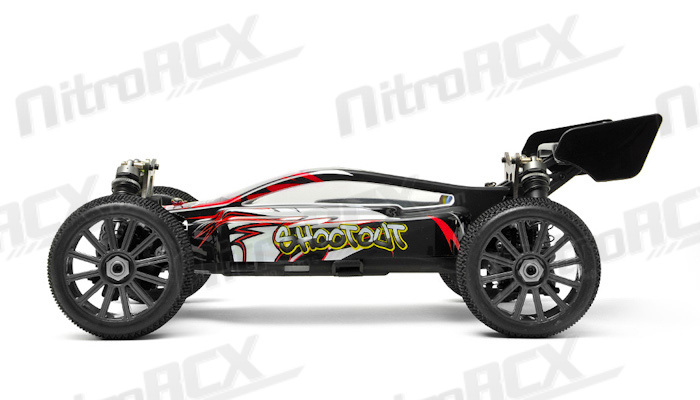 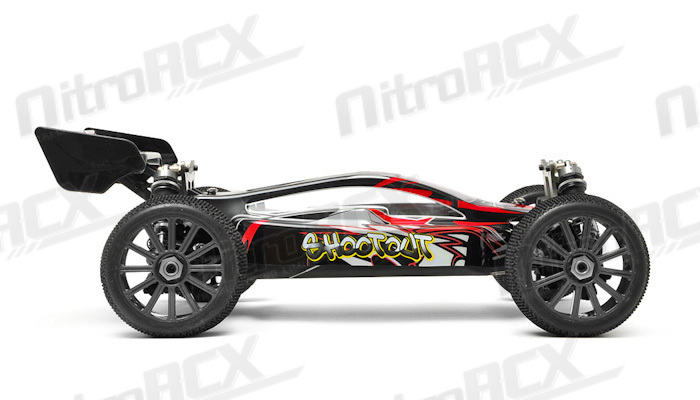 The Shootout is Iron Track�s latest 1/8th scale electric 4 wheel drive off-road race buggy. 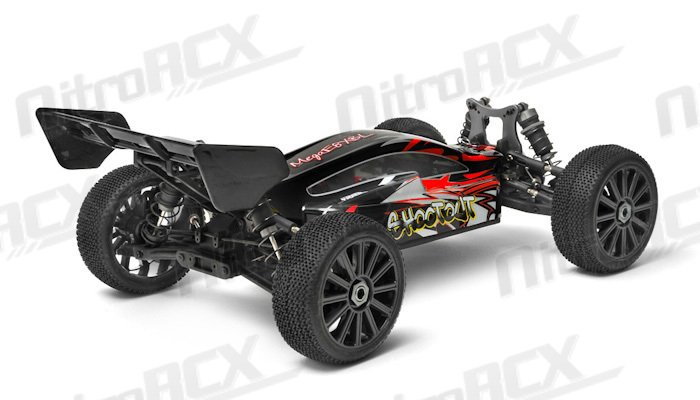 It is based upon their class leading WindStorm nitro powered buggy. 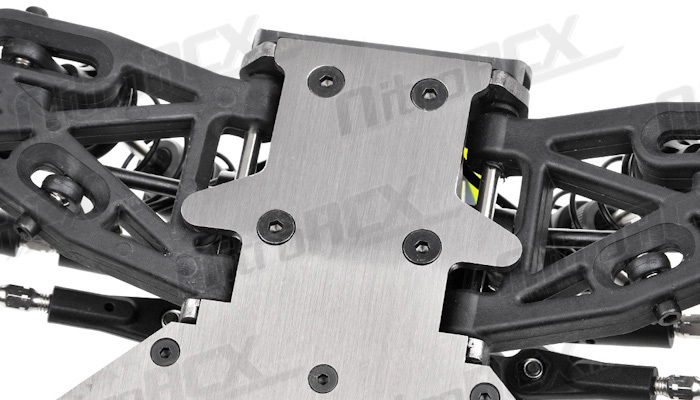 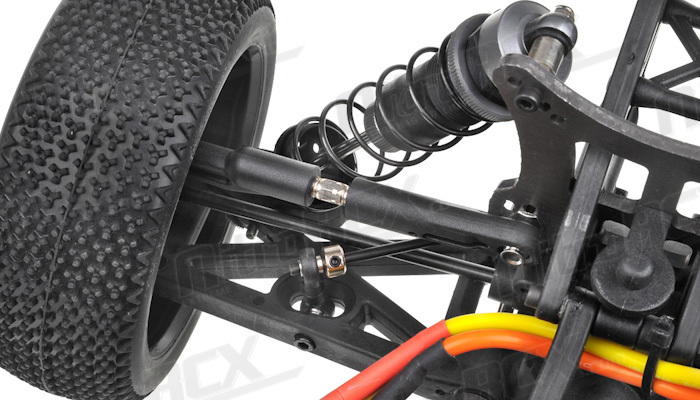 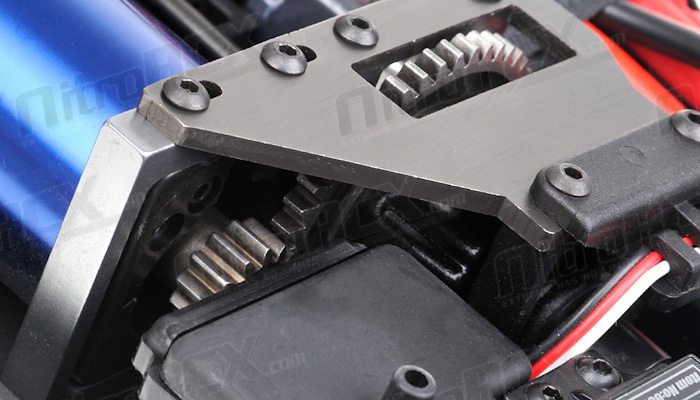 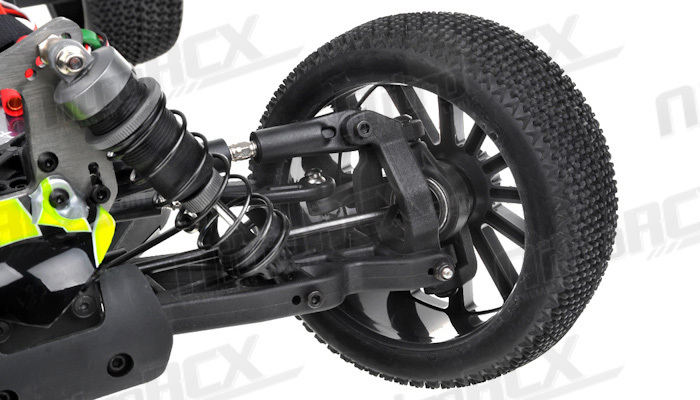 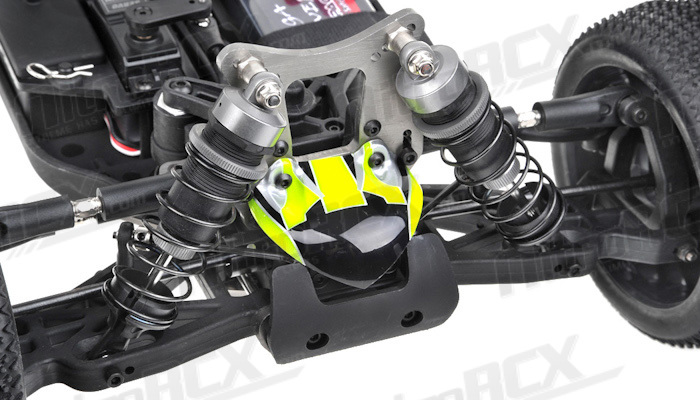 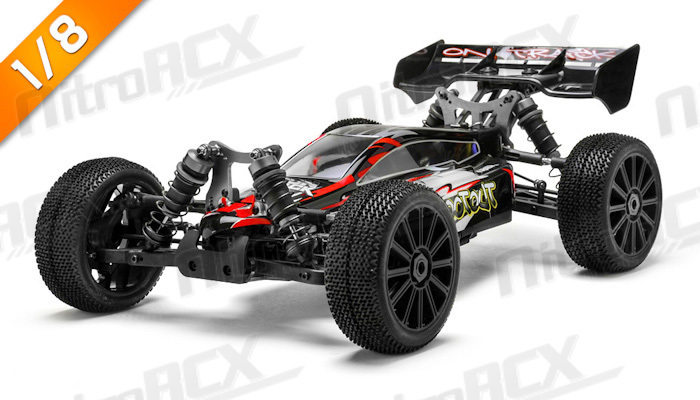 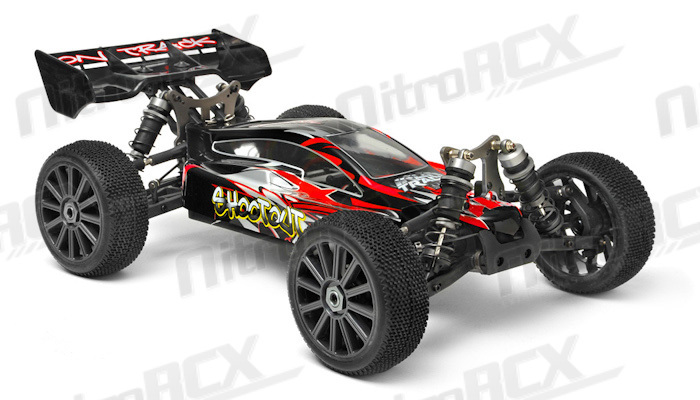 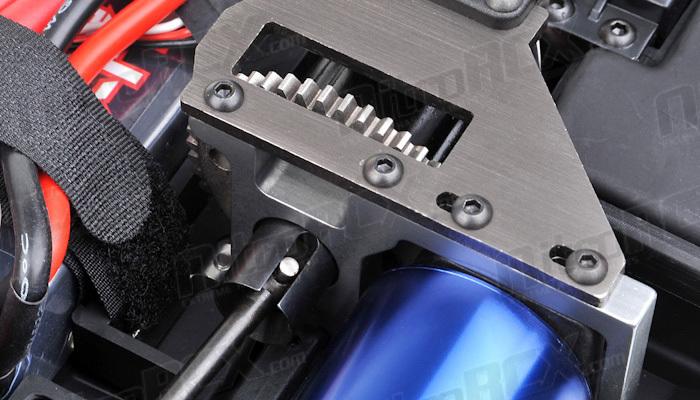 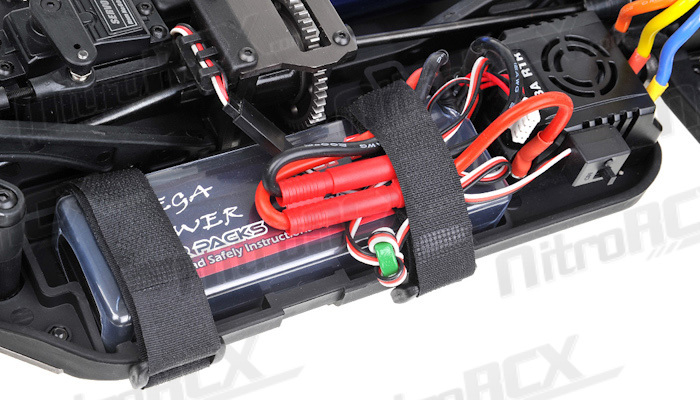 The raw power of the brushless motor and speed control system will even amaze the seasoned nitro buggy racer. 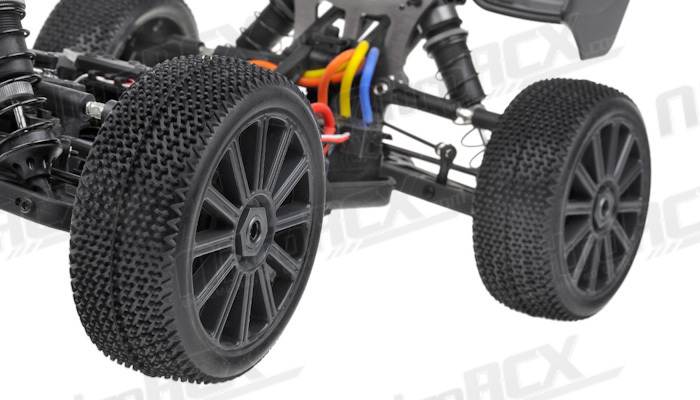 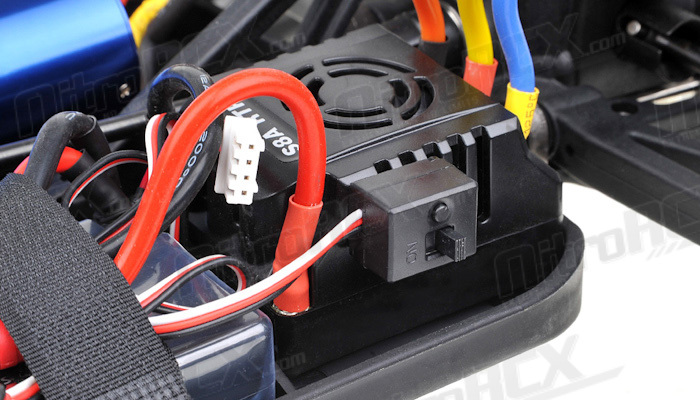 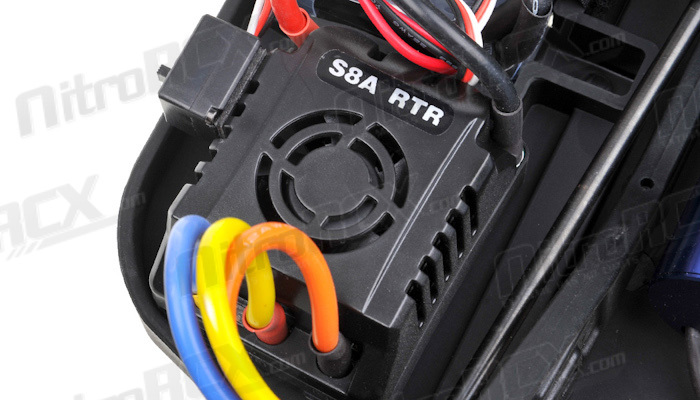 Its instant acceleration, that only a high powered brushless system can provide, tears up the terrain. 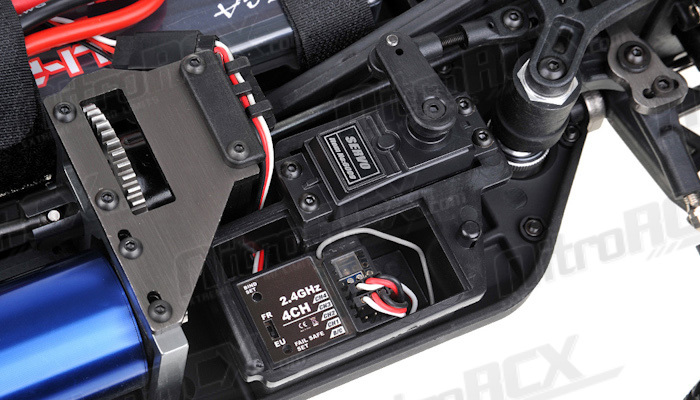 Top speed is smoking hot as the powerful 2075kv motor and brushless ESC takes full advantage of the optimized gearing engineered in the Shootout. 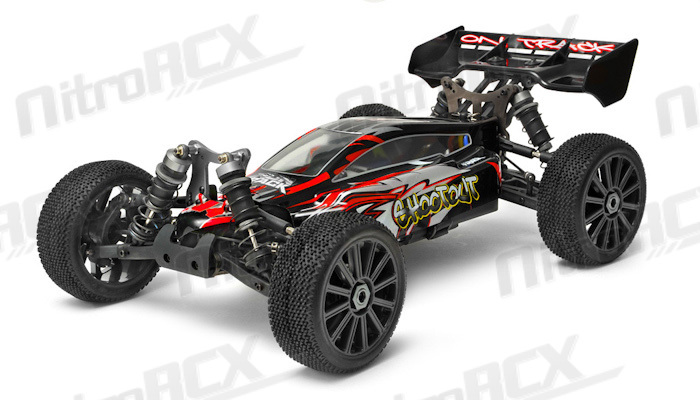 This buggy is designed for blistering speed and ground shredding acceleration. 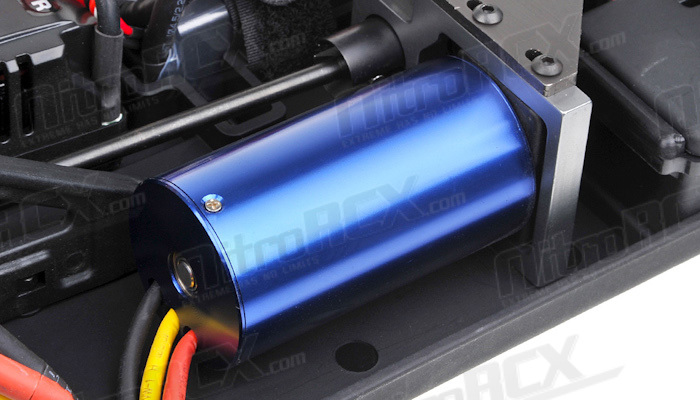 Taming all this power is done by the same reliable, high performance three differential drive-train. 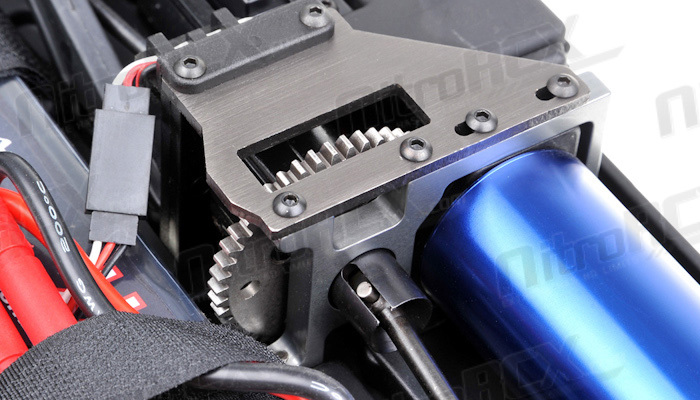 The suspension of the Shootout is optimized for electric power, and is closely related to the superb WindStorm platform. 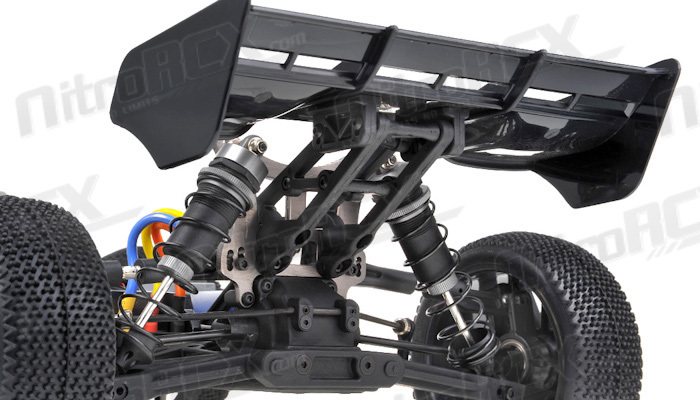 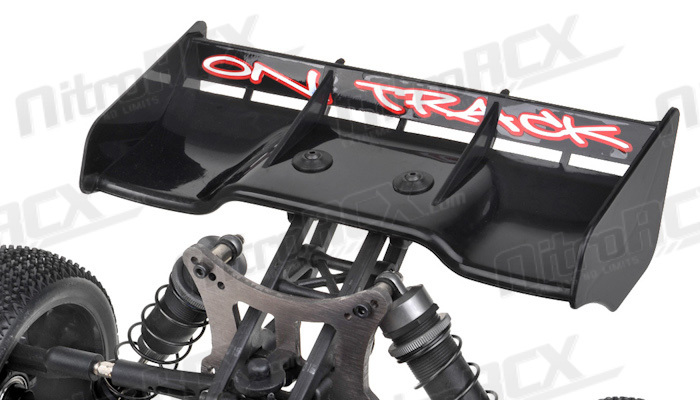 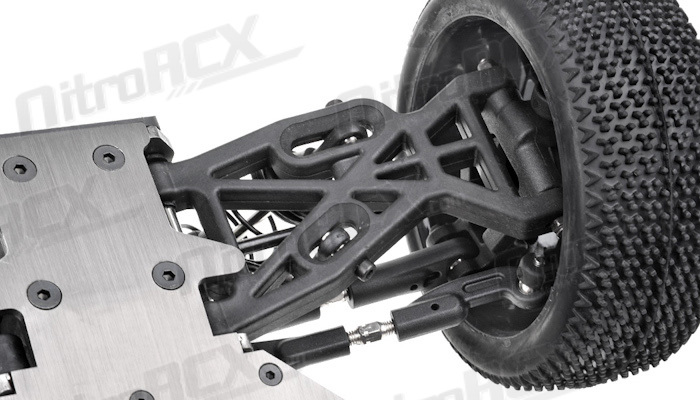 It features fully independent suspension front and rear with adjustable camber, roll center, toe, and many other tuning options. 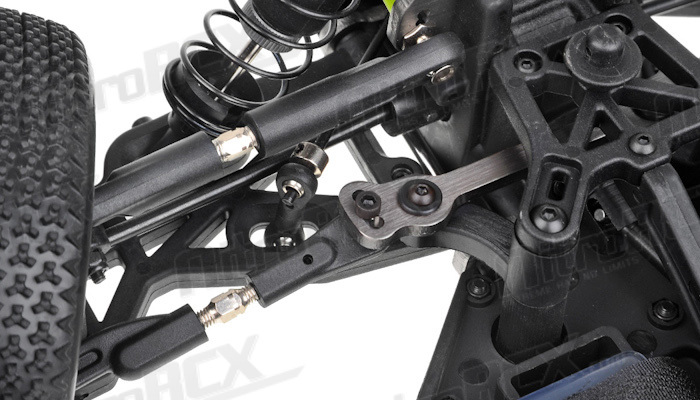 The high volume big bore oil filled shocks are also fully adjustable, allowing you to fine tune the buggies dampening characteristics.